The TD First Class Visa Signature® Credit Card is a travel rewards credit card with an $89 annual fee that’s waived during the first year. Its generous rewards program is designed for frequent travelers and restaurant patrons, earning unlimited 3 miles per $1 spent on travel (including airfare, hotels, cruises, and rental cars) and dining. All other eligible purchases earn unlimited 1 mile per $1 spent. There’s also a solid, 2-part sign-up bonus: 15,000 bonus miles simply for making your first purchase within 6 months of opening your account, and another 10,000 bonus miles when you spend at least $3,000 within 6 months. The best way to use TD First Class Visa Signature’s miles is to redeem them for statement credits against prior purchases. You can also use them to purchase gift cards, merchandise, and special experiences at TD’s proprietary online marketplace. TD First Class Visa Signature has some other noteworthy perks, including a 12-month 0% APR balance transfer promotion and a slew of useful (and potentially valuable) Visa Signature benefits. It also includes a free credit score each month and some useful credit-building tools. Here’s a look at what to expect from this under-the-radar travel rewards card. When you make your first purchase within 6 months of opening your account, you receive 15,000 bonus miles. If you spend at least $3,000 within 6 months of opening your account, you receive an additional 10,000 bonus miles. The total potential value of this sign-up bonus is 25,000 bonus miles. That’s worth $250 when redeemed for statement credits. TD First Class Visa Signature earns unlimited 3 miles per $1 spent on dining and travel purchases. The travel category includes airfare, hotels, rental cars, and cruises. All other purchases (non-travel and non-dining) earn unlimited 1 mile per $1 spent. Miles have a flat default value of $0.01 apiece when redeemed as statement credits. Notably, you can only redeem for statement credits by calling TD’s dedicated redemption hotline at 1-877-468-3178 (you cannot claim statement credits online). You can redeem miles for statement credits against any type of purchase and in any amount. Miles are worth $0.01 apiece when redeemed for statement credits, gift cards, and travel. Miles redeemed for other items, such as merchandise and unique experiences, can be worth more or less than $0.01 apiece. Refer to the TD First Class Rewards portal for a full list of options and important information about minimums, limits, and other restrictions. There is no annual fee during the first year. In all subsequent years, the annual fee is $89. There is never a foreign transaction fee. Balance transfers cost the greater of 3% or $5. Cash advances cost the greater of 3% or $10., and the late payment fee ranges up to $37. TD First Class Visa Signature has a 12-month 0% APR balance transfer promotion, beginning the day your account is opened. There is no introductory purchase promotion. Once the introductory APR period ends, this card’s balance transfer APR rises to 14.49% and can vary thereafter with prevailing interest rates. The purchase APR is 14.49% from the day you open your account. 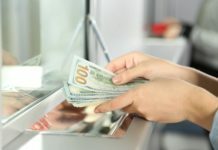 The cash advance APR is set at 26.49% from the day you open your account as well, and can also vary thereafter with prevailing interest rates. TD First Class Visa Signature comes with a free VantageScore credit score in your online account portal and on your monthly statement, along with a slew of complimentary credit education tools that you can help you use credit more responsibly. This card requires excellent credit. If you have any noteworthy blemishes in your credit history, you’re unlikely to qualify. Great Earning Rate on Travel and Dining Purchases. TD First Class Visa Signature’s biggest selling point is probably its 3x earning rate on travel and dining purchases. That’s 33% better than competing cards such as Chase Sapphire Preferred, which earns just 2 points per $1 spent on travel and dining. Solid, Relatively Attainable Sign-up Bonus. This card’s 2-part sign-up bonus is both generous and relatively attainable. When fully utilized, it’s worth $250 when redeemed for statement credits, and it requires just $3,000 in spending over the first 6 months your account is open. If you can’t swing $3,000 in spending in 6 months, you can still earn 15,000 miles (worth up to $150) simply for making a single purchase within that time-frame. Good Introductory Balance Transfer Promotion. TD First Class Visa Signature has a 12-month, interest-free balance transfer promotion. That’s great news for new cardholders struggling with existing high-interest credit card balances. Even if the balance transfer deal isn’t the deciding factor for you, it’s definitely a nice bonus. Statement Credit Redemption Is Straightforward and Transparent. The best way to redeem your miles is through statement credits against travel and dining purchases – in effect, offsetting the purchases that earn you points the fastest. It’s nice to be able to fully or partially cancel big-ticket travel or dining purchases with one phone call. It’s also a lot easier than redeeming miles at the point of purchase, which often involves red tape and sometimes carries a fee. No Foreign Transaction Fee. This card doesn’t charge foreign transaction fees. If you travel outside the U.S. with any regularity, this can save you a pretty penny. Some competing cards charge foreign transaction fees in the 2% to 3% range, effectively adding a surtax to their holders’ international spending. Nice Lineup of Fringe Benefits. TD First Class Visa Signature has the full heft of the Visa Signature benefit program behind it. That’s great news for cardholders seeking to extract as much value as possible from their accounts. 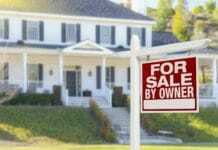 While it’s hard to ascribe precise dollar values to benefits such as extended warranties and purchase protection, they certainly come in handy (and save money) if and when they’re actually exercised. No Penalty APR. This card doesn’t charge penalty interest. That’s great news for cardholders who occasionally miss payments due to liquidity issues or other cash flow problems. Some competing cards charge penalty interest rates as high as 30% and keep them in force indefinitely after a single missed payment. Has an Annual Fee. After the first year, TD First Class Visa Signature charges an $89 annual fee. That problematic for light spenders, who might not earn rewards rapidly enough to offset the recurring levy. Some competing cards, including Capital One VentureOne Rewards Credit Card, have comparable benefits without the annual fee. Must Call to Redeem for Statement Credits. If you want to redeem your rewards for statement credits, you need to call TD and formally request to do so. The process isn’t super complicated, but it’s still inconvenient when compared to the easy-peasy online redemption systems that most major credit card issuers use. Value of Miles Capped at $0.01 Apiece. No matter how you redeem, your miles are never worth more than $0.01 apiece. That’s a big drawback relative to branded loyalty cards such as Gold Delta SkyMiles from American Express, whose miles can be worth $0.02 apiece or more. Some general-purpose travel cards are more generous as well – for example, Chase Sapphire Preferred’s points are worth $0.0125 apiece when redeemed for travel. No Loyalty Program Transfer Privileges. TD First Class Visa Signature’s miles aren’t portable – they must be redeemed within the confines of TD’s loyalty program. Some competing travel credit cards, including the Chase Sapphire Preferred and Chase Sapphire Reserve Cards, which both allow transfers to partner programs, often at a coveted 1-to-1 ratio. These arrangements can substantially increase miles’ value and should be weighed heavily when choosing a travel rewards credit card. The TD First Class Visa Signature® Credit Card is definitely not the best-known travel credit card on the market. It’s actually pretty low-key: poll 20 random consumers, and it’s safe to bet that 17 or 18 of them won’t have the faintest idea about it. By contrast, blockbuster travel credit cards like Capital One Venture Rewards are practically household names. This matters more than it should. Smart credit card users know not to base their choices on name recognition alone. There are literally hundreds of cash back and travel rewards credit cards on the market. Most can’t afford to blanket the airwaves with celebrity-studded advertisements. Before you settle on the top-of-mind choice, dig a little deeper and investigate options like TD First Class Visa Signature. You might be surprised by what you find. The TD First Class Card is ideal for moderate to heavy spenders who travel and dine out often, and who don’t mind the potentially restrictive aspects of its rewards program. Thanks to a 12-month balance transfer promotion and solid sign-up bonus, it’s also appropriate for new cardholders seeking to get something out of their accounts as soon as possible. This card isn’t appropriate for light spenders who travel and dine out infrequently. 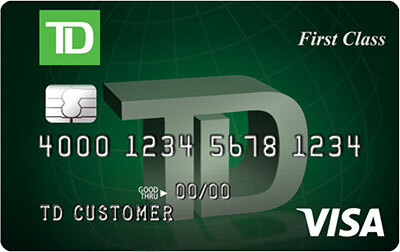 The TD First Class Visa Signature® Credit Card‘s most noteworthy benefits include the great earning rate on travel and dining purchases, the introductory balance transfer promotion, the straightforward and relatively attainable sign-up bonus, the clear and transparent statement credit redemption option, the lack of foreign transaction fees and penalty interest, and the nice lineup of Visa Signature benefits. This card’s major drawbacks include its annual fee, the inability to redeem for statement credits online, the hard cap on miles’ value at $0.01 apiece, and the lack of loyalty program partnerships. Overall, this is a very good card for frequent diners and travelers (including world travelers) who don’t mind its reward programs’ idiosyncrasies and spend heavily enough to offset the annual fee.